Evergreen Plantscapes has been creating beautiful interior spaces in Central Oregon Since 1983. We make commercial spaces, model homes and temporary commercial spaces look better, feel better, and breathe better. It’s just part of what we do on a regular basis. Our clients agree with us. We take pride in sharing the benefits of rich, healthy foliage plants in business locations, central Oregon homes and other environments where people live, work and gather. We are trained interior foliage technicians providing plant care while simultaneously creating living artwork on the central Oregon plateau. As large project specialists we attend to minute details from the design concept to the installation - we are very good at delivering beauty and keeping it that way – always reflecting the ambience of the interior space. Pair the foliage plants to the interior space using low, medium or hight light plants. Stage the selected plants in appropriate decorative containers considering architectural elements, size, color, texture and function. Insure the Client loves the concept. Installations are usually performed with little or or no disruption to the normal operation of the Client’s business space or the home owners’s private space. We’re quick, quiet, efficient and squeaky clean. Our artistry in creating special interior plantscapes carries a “WOW” factor - guaranteed. 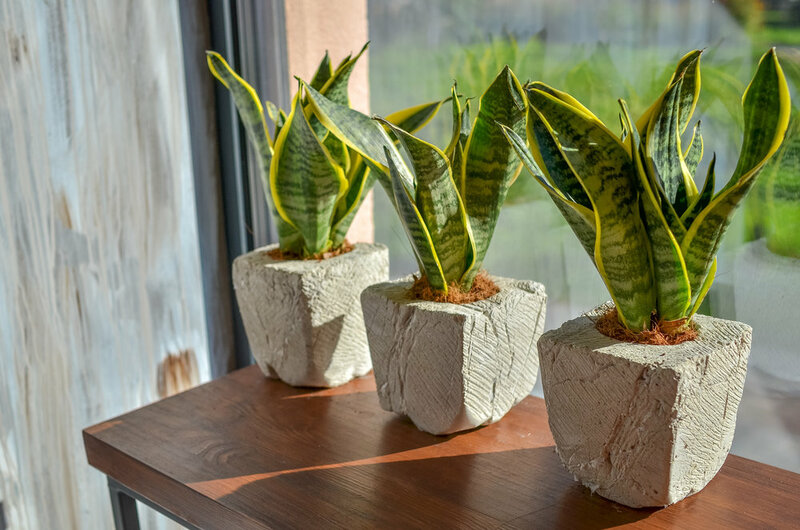 Our Foliage Maintenance Technicians begin caring for your new plantscape immediately upon installation and continue, week after week, plant by plant. Rendering personal and tender, loving care keeps it looking good. Evergreen Plantscapes establishes design criteria considering the available lighting levels, heating and cooling systems , foot traffic patterns, architectural elements needing softening, furniture color and patterns, soil and drainage. Exterior Container Gardens with color rotation tailored to the Central Oregon weather conditions, also maintained weekly. We source decorative containers - custom made, crafted by hand or specified by material, color and manufacturer. Evergreen offers staging for model homes or commercial spaces needing a ‘live’ attribute for showing off. Prevent damage to surrounding floors, walls and furniture which may be caused by water. Repotting/upsizing as the plantscape requires, over the term of the agreement. 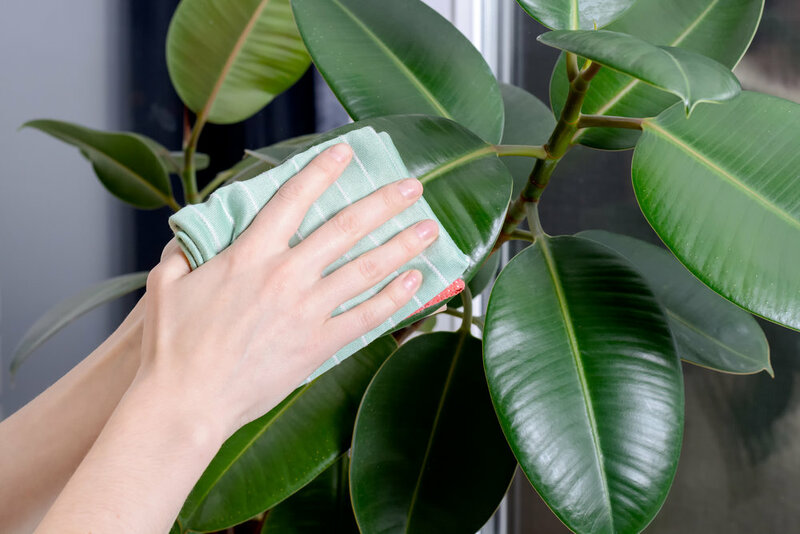 Studies have proven time and again that live interior foliage efficiently ‘scrubs’ the air of our interior spaces removing latent toxins outgassed from building materials used to create our structures. Chemicals like benzene, trichloroethylene, formaldehyde and carbon dioxide are present in carpeting, padding, counter top laminates, adhesives, wall paint, electrical fixtures and appliances. New building methods have achieved ‘air tight’ interiors trapping the interior air thereby maintaining very high levels of toxicity, and while air conditioning and heating units can operate efficiently they do little toward cleaning the air we breathe. Interior foliage actually ‘transforms’ these toxins into good, clean, fresh oxygen for us to use – at the same time adjusting the interior humidity levels to that which humans prefer. Let’s not forget the aesthetic value of well designed, placed and displayed interior foliage and containers. 2019 Evergreen Plantscapes LLC. All rights reserved.